New Page Books, 9781632650573, 192pp. The Pleiadians are moving into a new era. Through the opening of a new multidimensional timeframe, a pure light frequency has activated the sacred timing of an important aspect of their commitment to us as a human race. This is what the Pleiadians refer to as fulfilling the Promise that was set in place lifetimes ago. Now is the time for them to reveal to us as a human race the sacred aspects of who we are and what we need to do to become fully realized and fulfill our role on our Earth plane. The energy of this Promise holds the key to our further awakening and the unfolding of our self-realization process on a multidimensional level. This Promise activates the revelations of understanding and knowledge to be given to all those who are seekers of Truth--information that will help us to understand this transition and the role we need to play to fully open ourselves to our magnificence. A series of blessed revelations align you to a deeper natural aspect of your own humanness and spirituality. 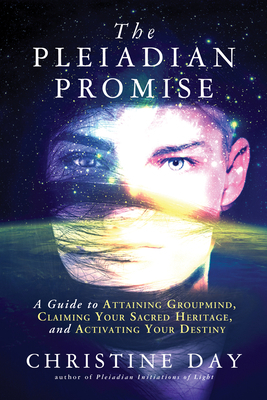 The Pleiadian Promise also includes six channeled audio files that give you a direct experience with the Pleiadians through multidimensional levels of light initiations. Christine Day is an internationally renowned spiritual teacher, healer, and channeler, and is often referred to as the Pleiadian ambassador for the planet. Christine travels the world channeling Pleiadian seminars and offering live transmissions from the Pleiadians. She has also been initiated into the Shaman traditions by the Pleiadians and offers Pleiadian Shamanic retreats and vision quests in different areas of the world. She currently lives in Minneapolis, Minnesota. For more information visit: Christinedayonline.com.